Riding a road bike through the beauty of New Zealand, top to bottom, for 12 days straight could perhaps be a doorway to cycling heaven. But what if I added “in the depths of winter”? What would you say then? If you have been following my journey you will have seen that I recently completed something called the Wim Hof Method (also known as the Iceman Method). One of the key pillars of this method is something called “cold therapy”, which incorporates daily cold showers, in addition to more extreme and less consistent cold exposure, such as ice baths. In the words of the Iceman, “the cold is merciless BUT righteous. It brings you directly into the depth of yourself. You’re not thinking, your emotions stop. You are just surviving, brought into the purity of your physiology and your soul”. These words certainly resonate with me, after exposing myself to the cold for the last six months. Every day I feel like my focus and energy is improving, becoming more in-tune with my inner-self. At the conclusion of Wim’s 10-week course, which was mid-April for me, he proposes a BIG challenge. Climb a freezing cold mountain in shorts; go for a swim in an ice capped lake; or ride your bike the entire length of a country in the middle of winter (that’s what was echoing through my head, anyway). When I think about riding a bike, the same touted benefits of cold exposure come to the surface. It’s a righteous activity that enables me to disconnect from our ever-increasing connected world. From a physiology perspective, endorphins are being released; the blood is pumping and the focus is in one place. When I stop to think about the rides I recall most vividly, they’re the ones where Mother Nature took charge, right during winter. Whether it was four hours side by side with a good mate, experiencing all four seasons in one of Melbourne’s glorious winter days, or cold and dirty rain hitting you in the face from the wheel in front of you, as you roll turns in extreme weather conditions. Why do I remember winter rides more than other rides? As I now truly understand and appreciate the cold for what it is, I believe winter riding is one of the most present activities someone can do. When you’re being inflicted by Mother Nature and you’re on a bike, it’s survival mode. You’re thinking about nothing else. You are present. Right here, right now. With this new-found lens of winter cycling I have persuaded my wife Alice to support me on an extreme winter expedition. Yes, I have completely disrupted a holiday – one that we’ve had planned for over 3 years – but that’s what supportive partners do for each other. My wife has been nothing but magnificent in allowing me to chase this new dream of riding across New Zealand, top to bottom. But how did I really convince my wife? Recently I have left the corporate world behind after 15 years of service to follow a career ambition to run Bike Chaser; a company I started with my brother-in-law roughly 5 years ago. I feel like I’m in a sliding doors scenario with an ever-growing hunger to discover true purpose as an individual. While I appreciate I’m already a fortunate man – with a wonderful family, supportive wife, and two beautiful girls – I still find myself pondering an overarching purpose to life. One that stands separate to being a friend, dad, husband and employee. Riding in winter: use the cold to stay present and focused. My hypothesis is that riding the full length on New Zealand – my partial motherland – in the depths of winter, will be an enlightening experience. The name for this “Ride the Long White Cloud” comes from the Maori name for New Zealand – “Aotearoa” which means “The Land of the Long White Cloud”. It will be a brutal, yet picturesque, 2,400 kilometre adventure through one the world’s most beautiful countries. To capture the moments of beauty and harshness of Ride The Long White Cloud, Visualize Media will be filming a number of days of the trip and helping piece together an inspiring video that changes the way we look at winter riding. 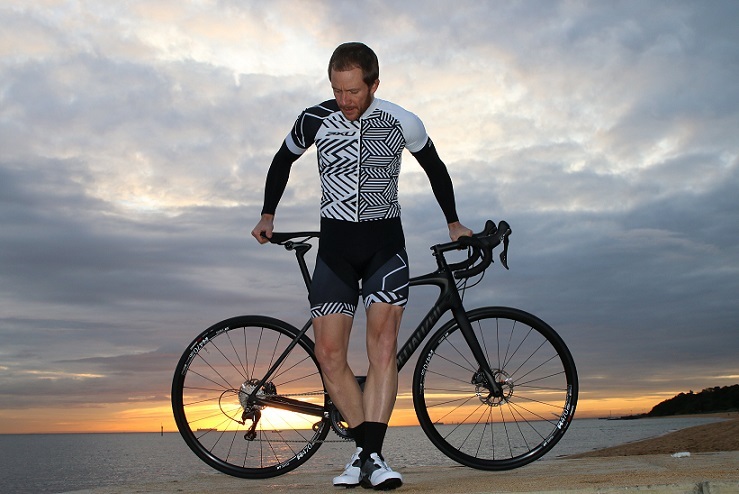 2XU have come forward as our apparel sponsor, providing a new cycling range of bibs that can encounter extreme conditions. The material in their new cycling range is 15 TIMES STRONGER THAN STEEL, so if the ‘black ice’ gets the better of me on the South Island, my bib will be the last item standing without a mark! Specialized have come forward as our bike sponsor. While there has been a lot of publicity surrounding the Diverge recently, let’s not forget about the Roubaix. Given the distance I am required to travel each day on road, with the need for comfort, the Roubaix is the perfect proposition to guide me through this journey. 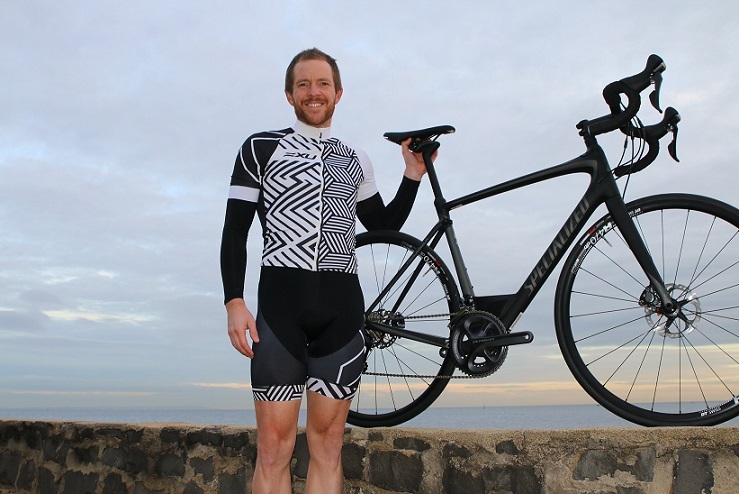 The Specialized Roubaix will become my best friend as I ride across New Zealand, covering 2,400 kilometres in 12 days. While we’re waiting for one last major sponsor, the efforts from the team at Bike Chaser and my family have been immense. We are building our very own comprehensive donation page, so we can avoid any donations getting clipped by third party websites, with everything going directly to our charity partners. In addition, my kids and wife have put up with my extreme training load over the past couple of months, and my parents have been exceptionally supporting while preparing for the ultimate challenge – looking after my 6 and 4-year-old for two weeks, while I ride the full length of New Zealand! This will be the first article of many that will see me through Ride the Long White Cloud, so stay tuned for our awareness campaign and learn more about our associated charity, CanTeen. 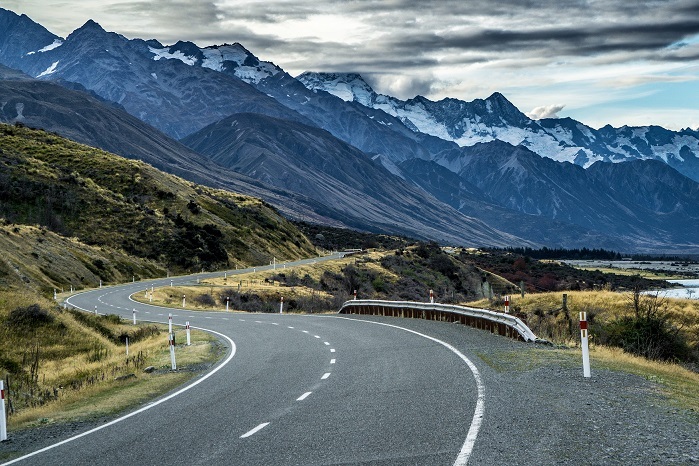 Click here to see Cameron’s itinerary and learn more about his motivation for riding 2,400 kilometres through New Zealand. Man, monster effort. Good luck to you. I have climbed Mount Kilimanjaro with Wim. I know anything is possible. Good luck. I’ll be following you on Strava. Thanks Sabine. Love your effort with Wim. Wish I could have been there. You have our full support. We love your focus, commitment and passion for road bike riding. A huge challenge. Also supported magnificently by Alice and the girls Holly and Ruby. Mum and Dad. Thanks Tim. I really appreciate the support from Hampton Cycles too. Thanks Broder – appreciate the comment. Can’t be much worse than doing it in Summer in NZ. No seriously ,well done. Don’t get swept sideways in the gales.